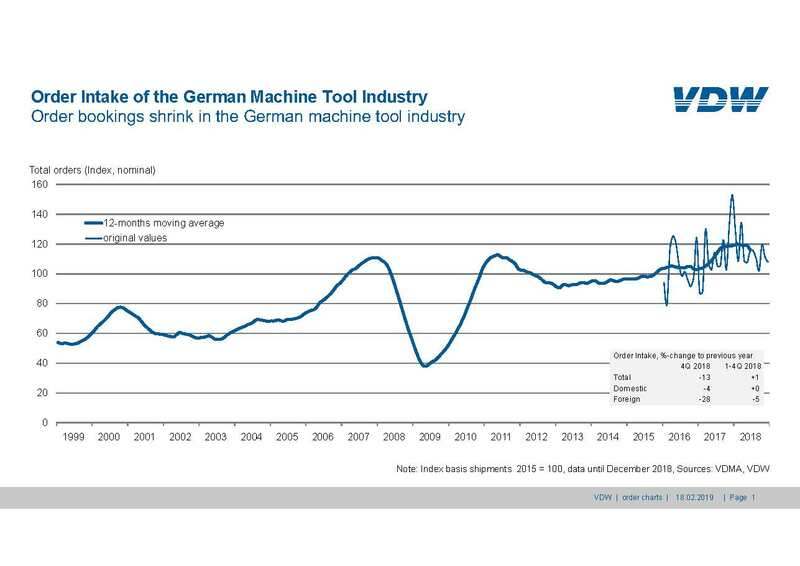 In the fourth quarter of 2018, order bookings at the German machine tool industry fell by 13 per cent compared to the preceding year’s equivalent period. Domestic orders slumped by 28 per cent. Orders from abroad were down by four per cent. For 2018, the overall rise was one per cent. Domestic orders were up by five per cent, while export orders finished at the preceding year’s level. 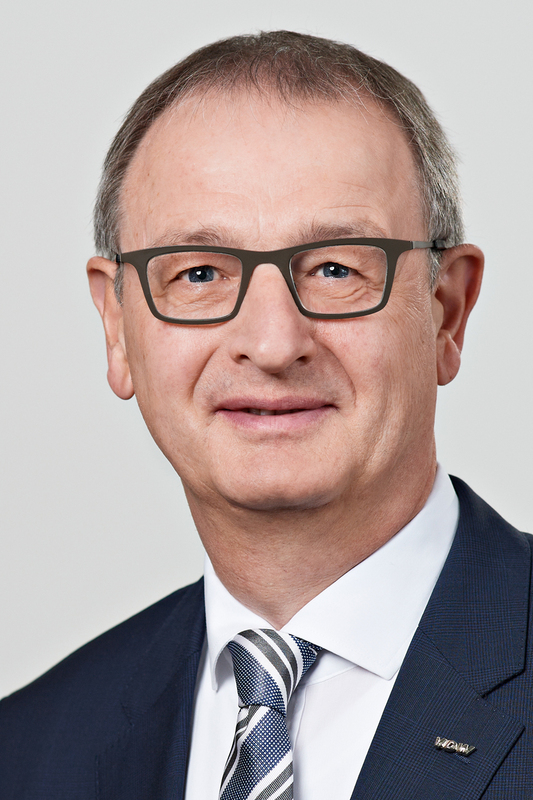 “The decrease in orders during the year’s fourth quarter is attributable primarily to the baseline effect,” comments Dr. Wilfried Schäfer, Executive Director of the sectoral organisation VDW (German Machine Tool Builders’ Association) in Frankfurt am Main, in assessing the result. “The preceding year’s equivalent period showed an exceptionally steep rise, particularly in Germany itself. It was hardly to be expected that it would be topped again,” he goes on to explain. Nonetheless, the worldwide turbulences of trade conflicts and market foreclosures, from the prospect of a presumptively chaotic Brexit to the dismantling of numerous arms control agreements, are now also being reflected in uncertainty among investors. In the third quarter of 2018, there were already signs that orders were beginning to slacken. At the end of the year, it was only the euro states that had currently proved able to achieve substantial growth, while all other groupings, domestic, total exports, and non-euro nations, showed double-figure decreases. “The downturn in orders indicates that the situation will ease in the months ahead,” says Dr. Schäfer of the VDW. “At present, full capacity utilisation, a shortage of skilled workers, and bottlenecks in material deliveries are putting a brake on production, and leading to longer delivery times,” explains Dr. Schäfer in conclusion. Overall, 2018 ended for the machine tool manufacturers with a new record in terms of production output, which rose by seven per cent to reach more than 17 billion euros.